The most effective tool to boost referrals (members actively recruiting new members for you) is a referral contest. 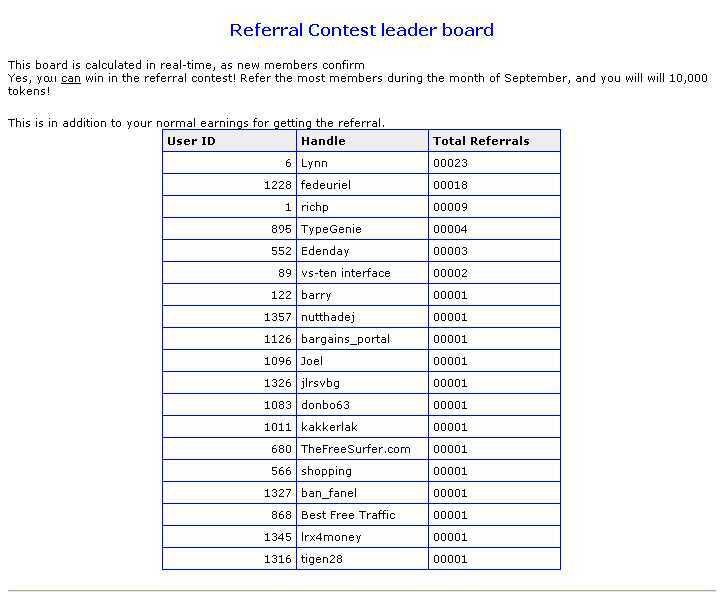 TrEx offers a highly-automated referral-contest system. You describe the contest dates and prizes, and the system builds a 'leader board' for you, and keeps it up to date. This is a low-maintenance way to keeping users excited about surfing.